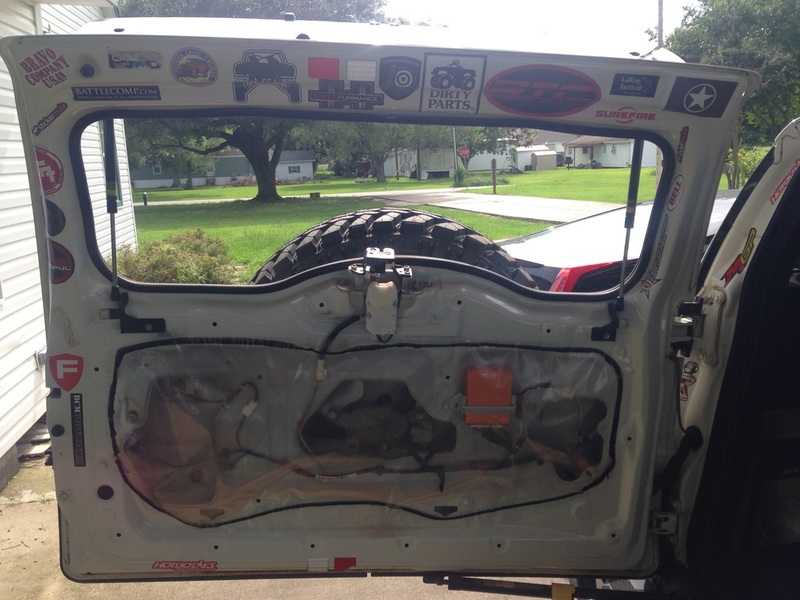 Removing the rear door panel is very simple and only takes a few minutes. You will need to open the rear window to remove the panel from the window latching mechanism. I would recommend doing it first. It took me longer because I have 2 cargo nets mounted to the rear door. I had to empty them and remove the top cargo net. 1) Remove the 2 circular caps on the upper left and right corners of the panel. 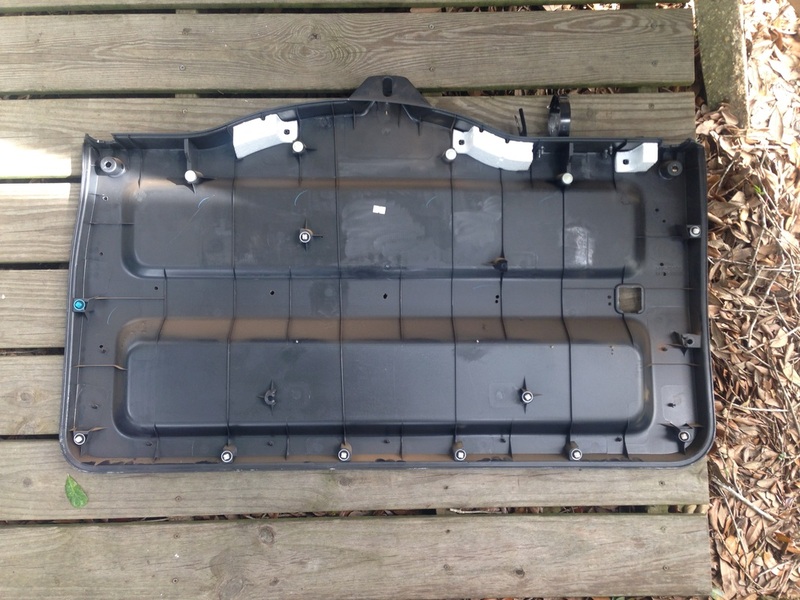 2) Remove the 2 bolts using a 10mm socket or Phillips screwdriver. 3) Remove the door panel. It snaps in place so just pull on it. (I started on the top right corner and worked my way down and over).